Home / Uncategories / Look At Your Best This Summer !! Look At Your Best This Summer !! Summer is on its full and flowy skirts, maxi dresses made their way back in action with cool flower prints on a solid background. The culture in which we live in is our worst enemy. I too find my self-trapped in that consumer culture. When it comes to dressing up for summer, I prefer to dress up in long maxi dresses or long skirts with floral print loose blouses. Having said that and being a being a beauty and fashion blogger, I always try to get my accessories, my dresses that are unique, comfortable and reflects my very own style. But, why pay more when you can get one as low even under $100 for such sassy pieces, then why spend more ? Zaful is your one-stop shop for today's most daring, exciting and edgy fashion apparel. On Zaful.com, international buyers can purchase a wide range of products at very low prices. They offer a select choice of clothing, shoes, accessories and more to deck out your wardrobe with style. To help you out this summer, their website carries a massive range of fashion clothing for women of all ages and from low price t-shirts to dresses to jumping suits, pants, skirts, and shorts. There are many vendors who are selling cheap clothing online by compromising on quality, but Zaful has brilliant range of handbags, scarves, jewelry etc under a roof. Check them out here and they won't disappoint. There are loads to choose from. 2 comments on "Look At Your Best This Summer !!" Nice choice of images and styles of comfortable & stylish looking bold and bright Dress with exclusive flower print on a solid color looks cool. 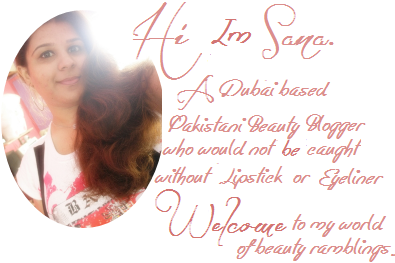 Sana, I would like to subscribe to your blog for up-to-dates and development of newest fashion.